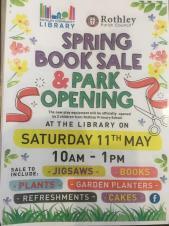 Spring Book Sale & Opening of New Play equipment at Mountsorrel Lane Playing Fields. A briefing session is being held for people considering standing in the Charnwood Borough Council elections in May. Anyone who is considering being a candidate in any of the 28 Council wards is welcome to attend the session on Tuesday, March 5 at Loughborough Town Hall. Candidates' agents are also welcome.